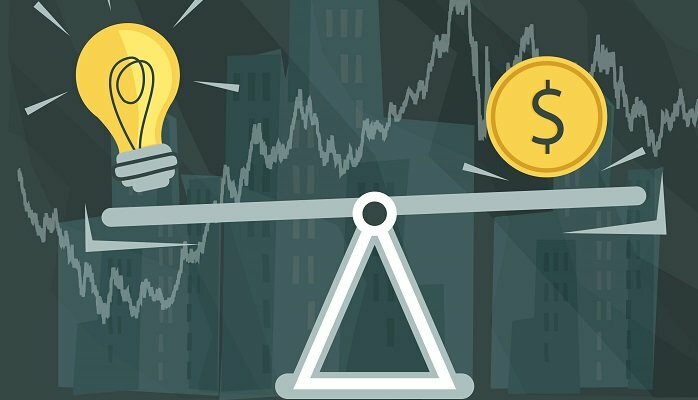 Now a days startups are focusing on valuations rather than making company self sustainable. “Valuations are valueless” if founders are burning investor’s money just to acquire customers and when they failed to raise next round of funding with over valuations, the only option is shutdown. Focus on pain point you are solving. Ask yourself “customers are willing to pay even if you stop giving discounts?” if “yes” then move on you are on right path, if “no” then you are not going to survive in this rat race of valuations. I was offered funding for my Startup StudentDesk – an Institute-wise used book sharing portal, when I was in 8th semester of Engineering and it was just after 15 days of launch. At that time I said “no” and to be very honest I didn’t understood why they were ready to invest by just asking me the number of users. I didn’t knew how I will use that money and earn from my website. If I had taken money offered during that time then I am sure I would have ended up losing it for acquiring users by giving coupons and different offers to use my website. Discounts and offers are not bad thing but if “discount” is the only reason you are getting users then you are not on the right path. Figure out whether the people really love your product or they are using it only for offers you are giving them. Whatsapp, Facebook, Google, Canva didn’t burn their money on marketing still they are at no 1 position. Please don’t make excuse that they were early in market 🙂 . Yahoo was already there when Google came but Google solved people’s problem in much better way, Facebook brought new experiences to social media as compared to Orkut and other websites which is why they reached where they are now. Word of mouth publicity was the key factor that made them successful. Product is like a baby for founders and everyone loves what they are doing but you should ask for users feedback. Remember that if you running a technology based startup – App/Web based, then first 1000 users must be family members, neighbors, friends, friends of friends and so on who can tell you the truth, whether they loved your idea and product or not. It will help you to validate and improve your product before going further. We all are too much social media driven, Likes on your Facebook page or big number of followers on twitter doesn’t mean all of them would love to use your product. It is the bitter truth. Never hesitate to approach people just go and ask them personally to review your product. Build such a great product that they would themselves love talking about it with other people. I learnt many things by meeting budding entrepreneurs, during raising money with crowdfunding campaign of our startup at start51.com, by interacting with investors and by watching series of interviews of successful entrepreneurs like Vinod Khosla, Mahesh Murthy, Ravi Gururaj, Vani Kola, Vijay Anand, and many others. I am not yet enough experienced person to advise anyone and I usually don’t write much but I thought it was a much needed learning lesson for me which I learnt at right time and it could be helpful for other startups also. Thanks for reading. Good Luck.! !